We got a closer look at Fuji’s new cameras and the additions it’s made to the lineup, and the manufacturer has jumped on board with the regular CES photography trends we’re seeing: panorama stitching, touchscreen, and auto-share. It’s added a newer model to its Z-series with the Z90’s addition. The main difference in this model from last generation’s Z70 is the 3-inch LCD touchscreen the Z90 features, as well as its auto-share option for uploading video and stills to sites like YouTube and Facebook. It’s also got a series of built-in editing functions, another fad we’re seeing at CES. The z90 also has auto tracking, which is supposed to enable a user to track a moving object and simply tap the screen and get a focused, finished image. However, exhibitors told us this feature is glitchy and has trouble working when multiple moving objects are in its view. It also includes panorama stitching, which allows photographers to take multiple pictures and then automatically stitch them together. 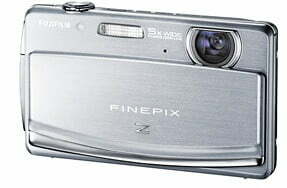 The camera will be priced at $169. 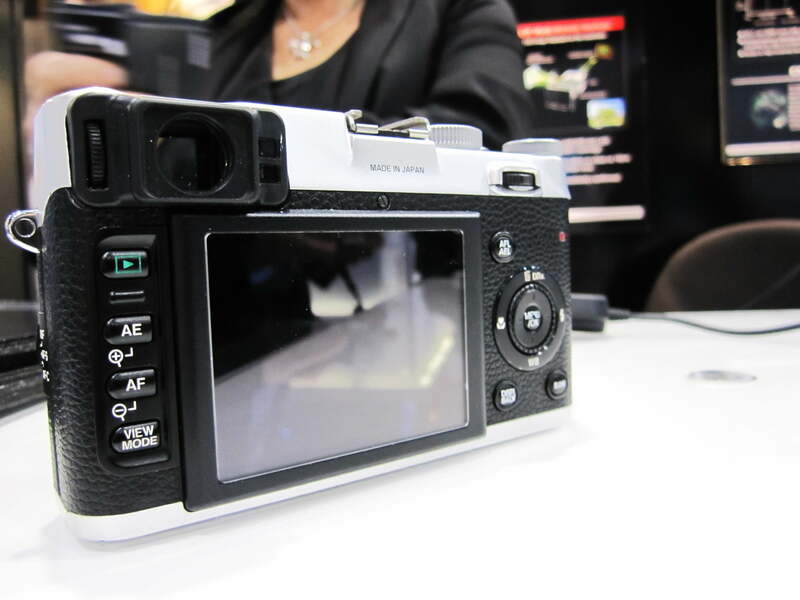 We’re also seeing digital imaging companies showing off their compact DLSRs in vintage bodies, and Fuji had its FinePix X100 on display. 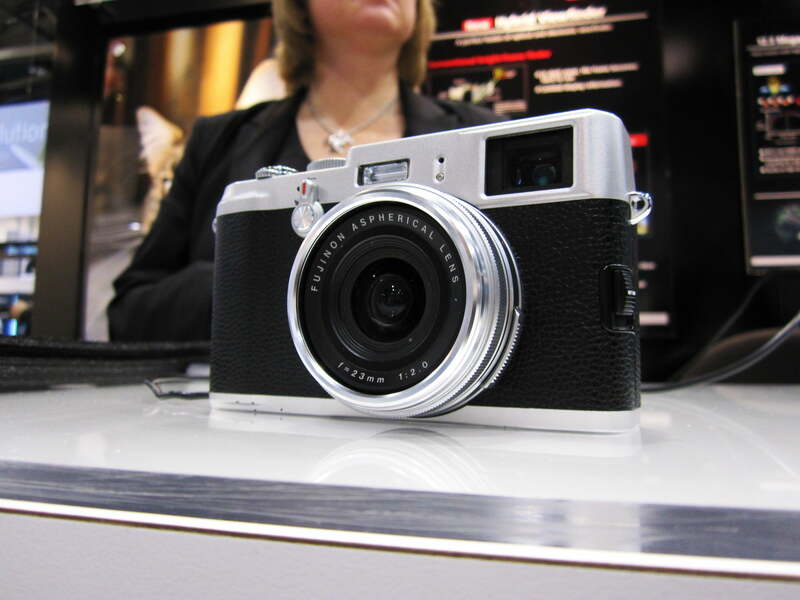 Fuji announced the camera earlier this year, but we finally had a chance to get our hands on it. The hybrid viewfinder did not fail to disappoint either, not to mention the 23 mm F2 single focus lens, which is something of an anomaly for a camera this size. After playing around with it, we found that the manual and RAW settings would be able to keep experienced photographers happy (provided a full size DSLR is in their possession) and the automatic function well enough for quality quick pics – which is no doubt thanks to the custom CMOS sensor and EXR processor. 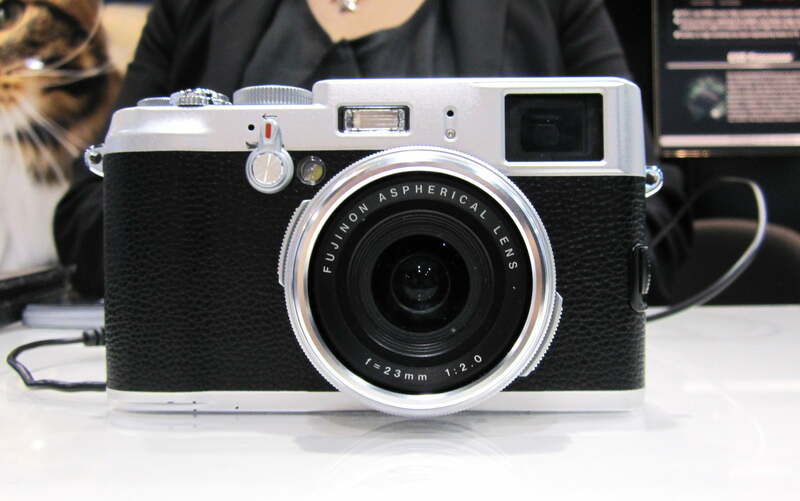 The X100 will be available in March for somewhere between $1,000 and $1,200. That’s a hefty price tag, we know, but Fuji exhibitors told us competitor versions like one from Leica will cost nearer to $2,000.